If you're not the typical student who can enroll in the local community college, then online education through an accredited online college or online university may be right for you. Online degrees fit your needs, not the other way around. Most students that participate in online classes are already working. They don't want to give up their life and their job in order to earn a degree. They have too many responsibilities. With an online education, you can go to school and earn a degree while balancing your job, your family, and your many other commitments. Online classes and schools can offer you the flexibility that you need. You can log onto the computer and start learning early in the morning, in the middle of the day, or after you've put your kids to bed in the evening. Depending on your classes, you might even be able to access them from your mobile device when you are stuck waiting in line or in your car waiting for your child to get out of school. You can take your online classes whenever you have the time and wherever it's convenient for you. 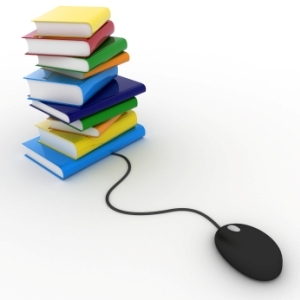 Online education not only offers you an enormous amount of flexibility, but it also offers a quality education. You can graduate from accredited and well recognized schools without ever setting foot on campus. You receive the same quality education as students that go to physical campuses and sit in classrooms, but you do it without the travel time, and you do it on your schedule. Online schooling is great for busy individuals. It works for busy adults that are already working in their desired career and are simply looking for some additional education. It also works for those individuals who are stuck because of their lack of education and are looking for a way to change careers while continuing to earn wages. Whatever your circumstances are, an online education can provide great opportunities that will help you in your professional and personal life.